The incredible, edible, versatile egg! Are you an egg fan? Then you know what I’m talking about! A delicious, versatile, nutrient-dense food unlike any other. You can add an egg to anything. In fact, a favorite mantra of mine is, when in doubt throw an egg on it! It can be the answer to all your meal planning questions, such as what’s for breakfast? lunch? Or dinner? Eggs can fill the bill. But did you know how great they are for your brain? Eggs are really great brain food. Eggs support cognitive functioning, focus and memory. There’s quite a bit of the B vitamin choline in eggs—specifically in the yolk— and that’s good news for our brains. Choline has been shown to boost scores on cognitive tests and improve mental focus. Eggs also deliver healthy amounts of vitamin B12, which has been linked with improved memory and a lower risk of cognitive decline later in life. The vitamin D in eggs may also help our brains stay healthy as we age. In other words, eggs are a nutritional fiesta for the brain! The yolks tell the nutritional tale. To gain all the benefits of eggs it’s best to buy them organically. If you can, purchase your eggs from somebody’s farm or someone who has chickens that are laying eggs. These are the very best sources. There’s a HUGE difference between laying hens that are pasture-raised and all cooped up. The latter are eating processed foods. I get my eggs from Kitty’s Eggs at the farm market. I suspect her chickens eat better than me! This is how you tell an amazingly nutritious egg. The yolk is Crayola crayon, super-deep yellow with a little bit of orange in it. It says, wow! I’m a super-nutritious food. The deep, intense color says nutrient-dense. Compare such a splendid yolk with regular, commercial store-bought egg yolks. The organic, pasture-raised are gorgeous deep yellow/orange. The commercial are pale yellow. I kid you not. And this is a BIG difference that your body feels. When you’ve come home from work late and you’re starving—when you need some quality protein quickly—eggs are an excellent solution. Eggs are an anytime food. A quick scrambled egg is not just for breakfast! Eggs are comforting and grounding. They’re quick, versatile, and unusually economical! What in the world can you do with eggs? Hardboiled. Stand alone, halved or sliced into a salad or bowl. Omelets. One of the more advanced egg cooking skills. To fold over an omelet is a challenge we mastered in culinary school. Frittatas. Frittata flips are more forgiving than omelets, and the leftovers are wonderful. Fried. Not my favorite, but every once in awhile my husband Gregg wants eggs over easy. But—it’s all about timing! Fried eggs are quick to go from perfection to rubber. I remember a recent Sunday when Gregg pushed the plate back, saying I can’t eat these. I was probably 15 seconds over. Ouch! Egg salad. We’re way beyond mayo: Try Paula Wolfert’s extraordinary recipe below with herbs and mint! Beyond Recipes: Scrambled or Poached! You can put everything in scrambled eggs! Herbs, greens, sauteed or roasted vegetables, cheeses (I like feta). Tuck scrambled eggs, herbs, and vegetables into a warm, soft, corn tortillas for an especially filling and delectable luncheon treat. Scramble the eggs in olive oil, butter or ghee. Cook them low and slow. The trick is to heat the pan first. Take them almost off the fire after briefly showing them the flame. You can put poached eggs on top of everything! On top of a veggie bowl, on top of a little polenta. You can poach 4-6 at a time, refrigerate, and then eat them all week. Poached eggs are having a star moment in the restaurant scene. It’s the IT thing in California at present. Every restaurant is offering a poached egg on top. You can, too. My recipe (see below) has a little basil drizzle and describes the technique to a t.
Timing, temperature and technique are everything with eggs! The goal is perfect poached eggs and scrambled eggs that are creamy not runny. The temperature can’t be too high. That’s where you get rubbery eggs, no matter what style. Dive into my treasure trove of egg recipes! You know the feeling: it’s late, you’ve had a long day, you’re a tad hungry, but you’re really not up for anything more than a kitchen drive-by. What’s easy, fast, tasty and healthy? Scrambled eggs! Here’s the key to success: cook your eggs low and slow and they’ll come out perfect (ignore this advice at your own rubbery egg peril). Heat the pan first, drizzle in oil or melt the butter or ghee, then turn down the flame and pour in the eggs. Do it right and your eggs will have that perfect velvety feel. Here’s all you need to know about poached eggs: Ira Gershwin said his songwriting career wouldn’t be complete until he got his beloved poached eggs into one of his songs, which he eventually did (“I’m a poached egg . . . without a piece of toast; Yorkshire pudding . . . without a beef to roast.”). I guess Ira felt like so many of us do: sometimes the best little meal is the simplest. In this case, I’ve enhanced the yum factor by topping this comfort food with Basil Lemon Drizzle. The result is a very light sauce, which the fat from the yolk takes on a trip all around your mouth. Hmm . . . yummmm. This is nothing like your grandmother’s egg salad. Instead of a heavy mayonnaise dressing, eggs are tossed with vibrant slivered mint leaves and a light dressing of olive oil and lemon. 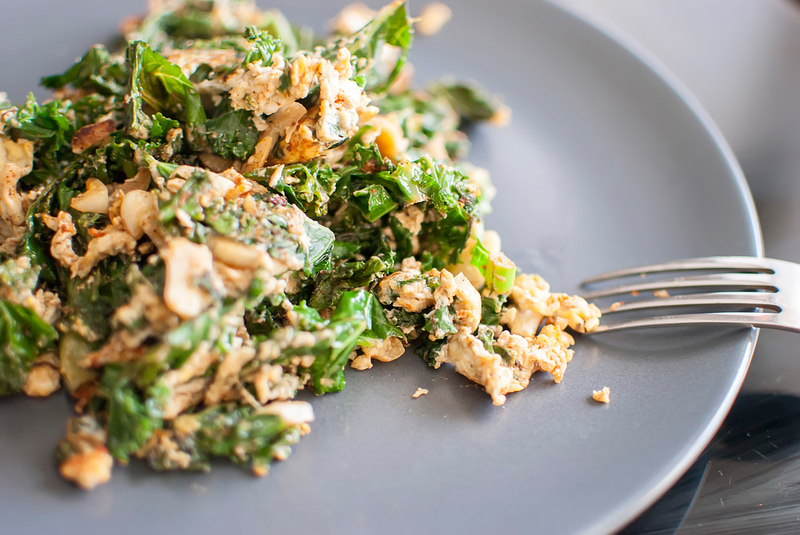 What makes this salad unforgettable is Paula grates the eggs, so they are ethereally light. (As her longtime editor Fran McCullough notes, grating also makes traditional egg salad velvety smooth.) Paula offered this recipe as an accompaniment to köfte, Turkish grilled meat skewers. But it’s so good, it’s been doubled here to be enjoyed as a stand-alone or with a green salad as a light meal. People have been deviling eggs for almost as long as there have been eggs to devil. Recipes can be found in writings from ancient Rome, thirteenth-century Andalusia, and current culinary blogs worldwide. I’m into deviled eggs both for their flavor and for practical reasons. They keep well in the fridge, and they’re an ideal protein-packed snack. Grandma might have spiked them with a little paprika on top (and you still can, too), but the flavors I’ve come up with are a lot more interesting: mint, cilantro, curry powder, and turmeric. Older PostWhat to do about hangry!